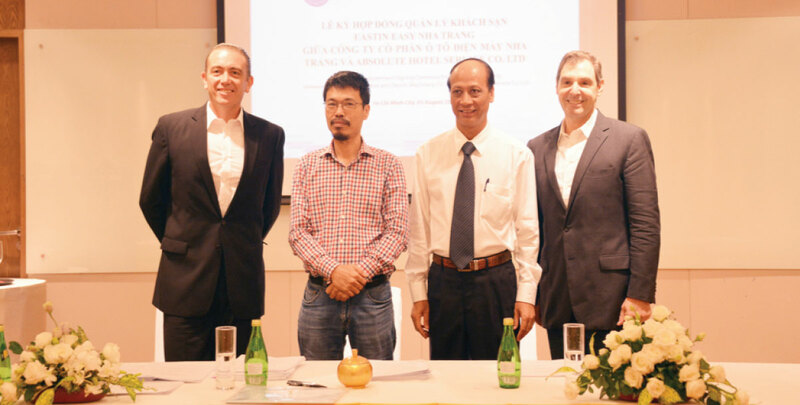 BANGKOK, Thailand (August, 2015) - CEO of Absolute Hotel Services Group Jonathan Wigley is delighted to announce the latest addition to its portfolio, the 180-room Eastin Hotel Nha Trang in Vietnam making a total of 830 rooms in AHS-managed properties so far for this destination. The hotel is targeted to open in 2017. Eastin Hotel Nha Trang\'s facilities will include an all day dining restaurant, pool bar, gym, large outdoor swimming pool and conference and meeting rooms. Nha Trang is a coastal city and the capital of Khánh Hòa Province on the South Central Coast of Vietnam. The town is well known for its pristine beaches and excellent scuba diving and is fast becoming a popular destination for international tourists as well as locals. With a rapidly growing tourism infrastucture and some of the most stunning scenery in the region we are delighted to be expanding the Eastin portfolio in Vietnam with the newest Eastin Hotel in the beautiful beach destination of Nha Trang offering our guests the very best service and facilities coupled with our brand promise of Value for All Occasions, said Mr. Wigley.